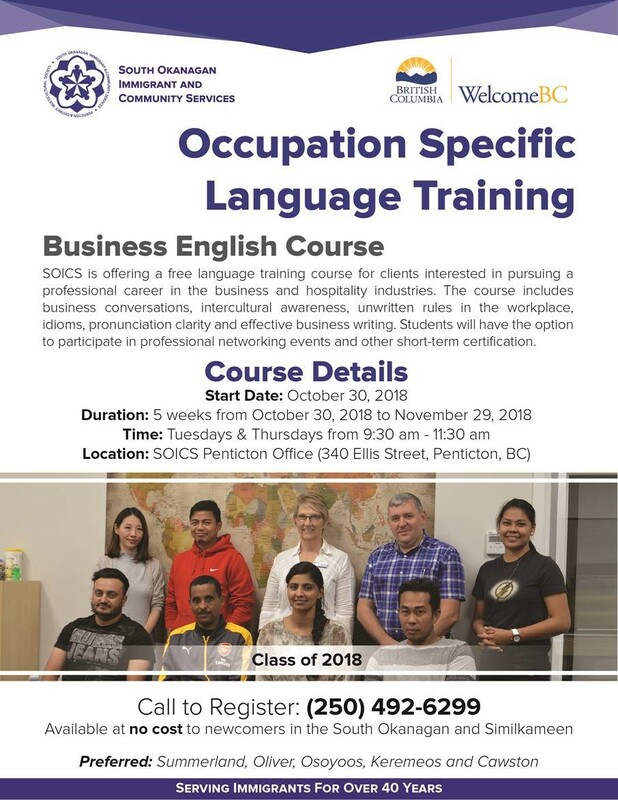 South Okanagan Immigrant & Community Services (SOICS) is offering a free language training course for clients interested in pursuing a professional career in the business and hospitality industries. The course includes business conversations, intercultural awareness, unwritten rules in the workplace, idioms, pronunciation clarity and effective business writing. Students will have the option to participate in professional networking events and other short-term certification.